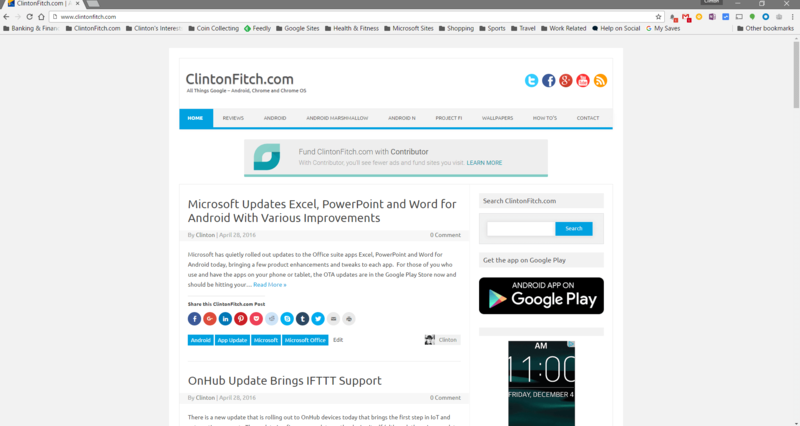 Google has announced that the latest version of Chrome for Windows, Mac and Linux has a new CPU consumption throttle that will limit the power consumption of background tabs in the browser. This new throttling policy should shows improvements to users in the form of prolonged battery life, something that Chrome and other browsers are known to impact. The update is a change from the current timer model that is used in Chrome today. That timer limits the refreshing of background tabs to once per second. In this new timer, it is based on CPU consumption. Build 57 will delay timers to the limit average of CPU load of 1% of a core. So think of it as an augmented and improved timer model over the once-per-second timer used today. It should be noted that tabs playing audio or real-time connections (like WebRTC) won’t be impacted. So what does this really mean for end users? It should result in improved battery life. With fewer timer updates happening in the background, you should see battery life improvement. How much is going to be dependent on how many background tabs you have open at any given time. Even with these improvements, it is recommended that you keep tabs to a minimum as you work throughout the day, especially if you are running your laptop on battery power. Eventually the Chrome team wants to get tabs fully suspended in the background and leverage new APIs to bring them back to life when you need them. That’s still a bit away but is the end goal for the team.